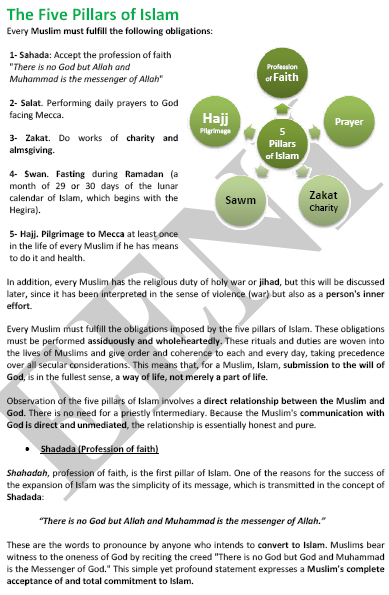 Syllabus of the Online Course (Subject): Five Pillars of Islam (Shahada, Salat, Zakat, Swan, Hajj). These are the words to pronounce by anyone who intends to convert to Islam. Let us remember that the apostasy is severely punished in Islam. Sharifa Al Harthy (Oman), the Vice Chairperson of the MB Holding and Director or the Charitable Foundation Mohammed Al-Barwani, is an excellent example of Zakat distribution.